Knott’s Berry Farm is more than just a farm! 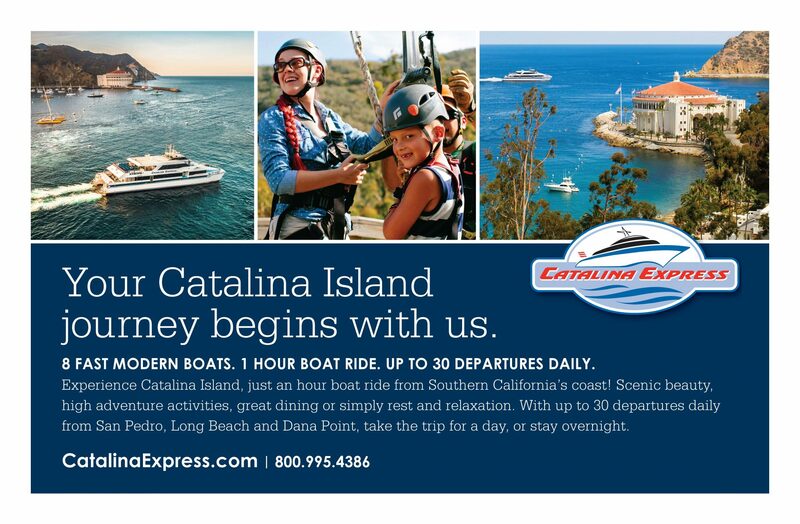 Catalina Express takes you to Catalina Island in just an hour with year-round service with up to 30 daily departures. Boats depart ports in Long Beach, San Pedro and Dana Point. Catalina is just 22 miles off the coast of Southern California. Catalina Express' fleet of high-speed ferries make for a quick, easy and fun getaway. From adventure to luxury, Catalina Island has it all. Visit the picturesque town of Avalon or the rustic village of Two Harbors. Avalon is filled with activities on land and sea. Two Harbors is a spectacular remote location with campgrounds and beautiful beaches. Catalina Island, a wonderful getaway for a day, a night, or a week! Family tour packages are available.